I ordered 2 small carburetor parts through Jack's. Although it was a small order, it was processed quickly, and my parts came within 10 days. I am very pleased with the service I received. I will definitely use them in the future. Part worked and fit fine.....it stopped the leak! Exact fit and fast shipping. Correct item shipped, and it worked perfectly. Thanks! 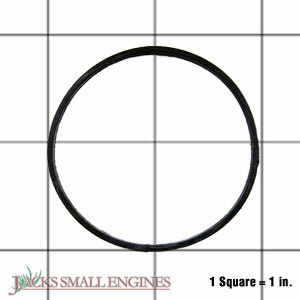 Ask us about the Robin/Subaru 2146254008 Bowl Gasket. Please no repair questions. Your Q&A may be posted to Jackssmallengines.com to help other shoppers, like you, with their purchasing decisions. Thank you.